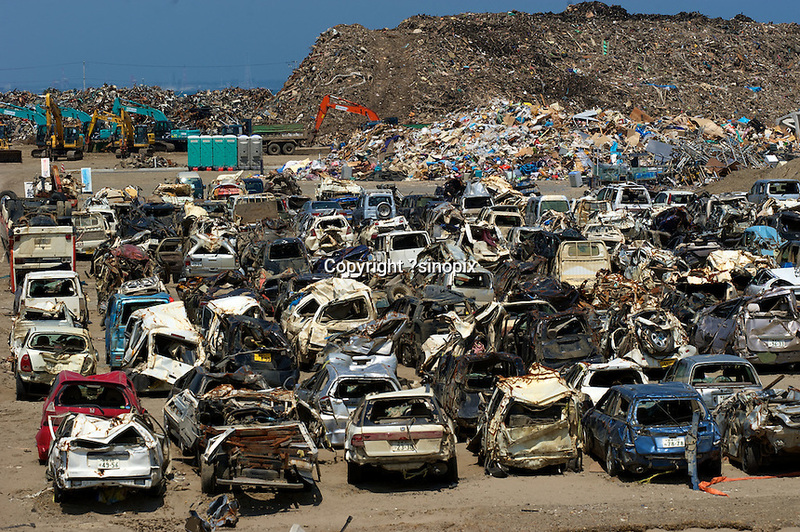 Cars are piled up from the town of Natori that was completely devastated during the March 11th Tsunami in Japan. The small coastal town was swept away most of it ending up in the rice field a kilometer away. Now 100 days after the tsunami most of the fields have been cleared of debris and the town has been cleared. Next to the coast a huge pile of thousands of tonnes of debris, mounting to the entire village, is piled up on the coast, next too hundreds of mangles cars.